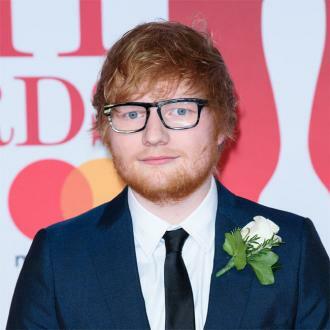 Ed Sheeran is reportedly building a chapel in the grounds of his Suffolk mansion – and it could be the site of his wedding. The ‘Castle on a Hill’ singer – who recently revealed he had proposed to girlfriend Cherry Seaborn at the end of last year – is said to be planning a Saxon-style flint church at his home, prompting speculation he’s taken measures to ensure his nuptials are as private as possible. A source told The Sun newspaper: ”Even though Ed is one of the world’s biggest stars he does like to do things privately, like his engagement. The chapel – which would stand at 32ft tall according to plans – can host a congregation of 24, and it is being developed by architects who have previously worked on the likes of Windsor Castle. It’s said the development is essential for Ed to give him a place to ”retreat for contemplation and prayer”, and for his famous house guests to ”regenerate their spiritual strength”. It’s expected that East Suffolk Council will make a decision on the chapel in April, which could mean Ed and Cherry can tie the knot there this summer, if they wanted. Cherry’s architect father Matthew Seaborn has lodged the planning application on the grounds of the property, which already features both an indoor and mobile swimming pool, a tree house, a gym and even a ‘man cave’. The news comes after Ed revealed he will have a number of different bachelor parties before he ties the knot, and he’s quipped that one of the bashes could be staged at one of the inexpensive hotel and pub chain’s venues.